An engaging food manufacturing website that successfully drives brand sentiment and positions our client as a global market leader. 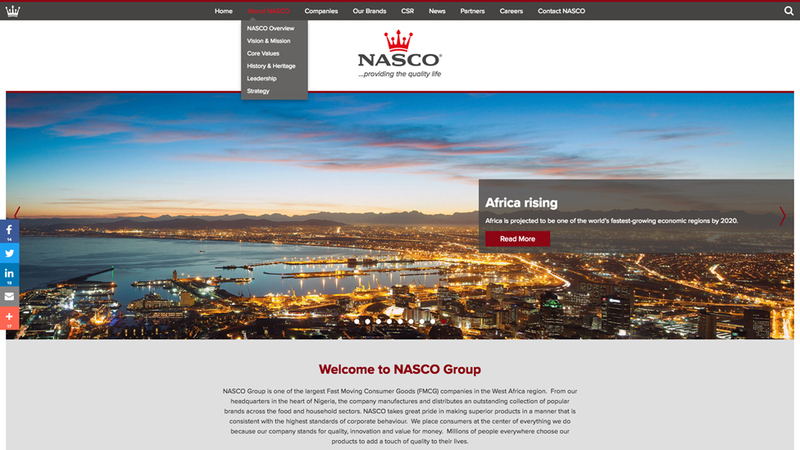 NASCO Group, one of the largest Fast Moving Consumer Goods (FMCG) companies in West Africa, manufactures and distributes a huge collection of food and household brands for millions of customers in the region and beyond. Proud of their history and focused on their future, they asked us to redesign their website to push their brand even further. The new website also had to help reflect their deeply held values of commitment to the communities and customers they serve, product quality, marketplace success and reinvestment in their business. 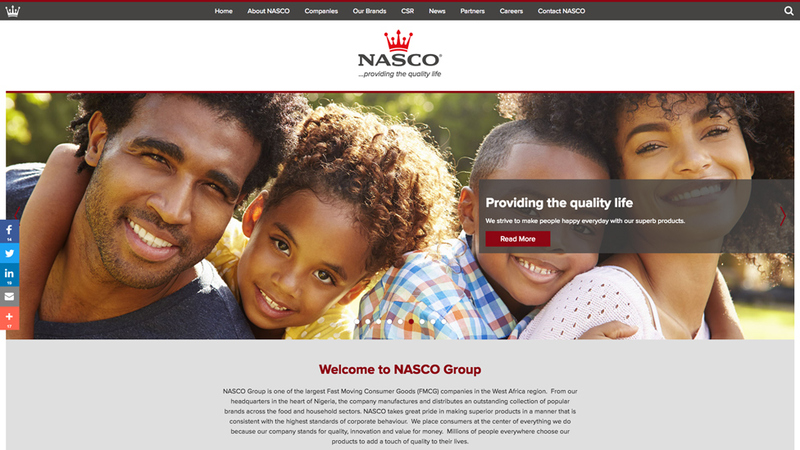 The new website design appeals to customers from all walks of life who demand quality and high standards from NASCO’s products; it transmits brand authority. The homepage introduces the client as hopeful about the future and committed to constant brand evolution in an ever-changing market, whilst not forgetting its past and the achievements that made them a market leader. An attention-grabbing “Since 1963” on an evocative image of a new dawn help convey this message from the start. 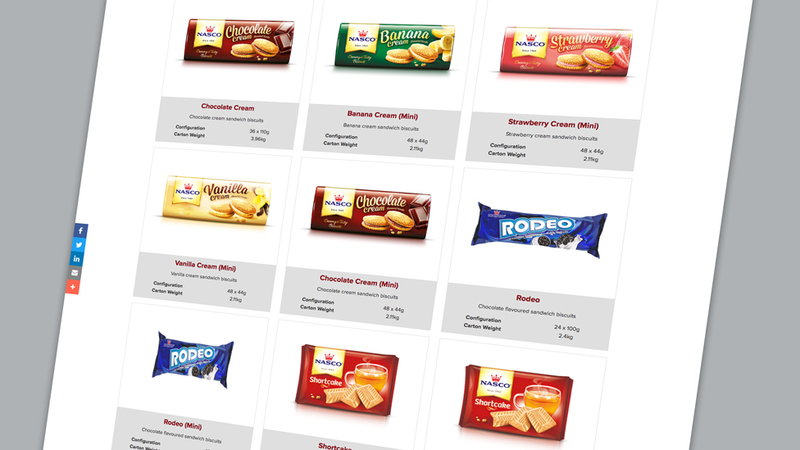 The food manufacturing website has a premium and contemporary look that makes it very appealing to the target audience. 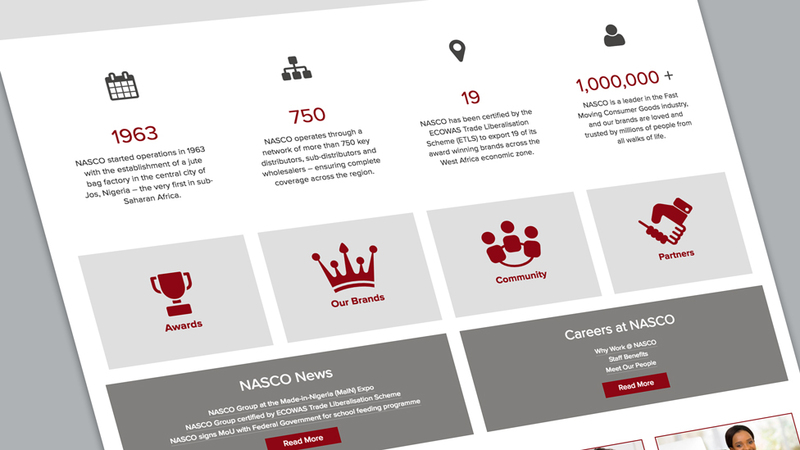 It showcases NASCO’s market leadership and presents their complete product portfolio, highlighting their ability to meet the needs of their customers. 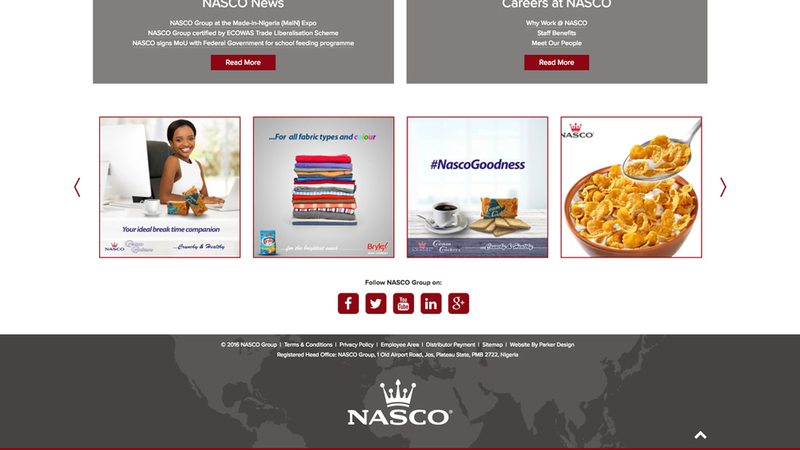 Aspirational lifestyle and stunning location images help build an online relationship with consumers, who feel NASCO knows them. A much simpler navigation offers an overall improved customer journey: it allows easy access to vast amounts of information, reinforcing the idea of an approachable company committed to quality and improving customers’ lives. Full responsiveness and the introduction of icons and digital counters showcasing achievements contribute to a playful and memorable experience.